Young children will love Axel Scheffler's captivating illustrations in this amusing story of a mouse who scares off his potential enemies by telling them he has a meeting with a Gruffalo - a scary beast that exists only in his imagination. Or does it.......???????? 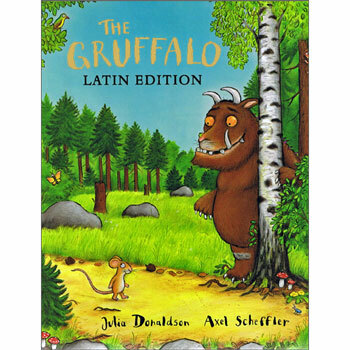 New for 2012, The Gruffalo has been published in Latin for the first time. Set in forty-six elegiac couplets, the translation draws on the language and style of the classical poets to brilliantly capture the rhythm and mischievous spirit of the original story.